Lactose-Derived Prebiotics: A Process Perspective is the first scientific reference to provide a comprehensive technological overview of the processes to derive oligosaccharides from dairy for use in functional foods. With their combined 90+ years in industry and research, the authors present the functional properties of prebiotics derived from lactose and the production technology required to make them. The book focuses on process engineering and includes an overview of green chemistry processes involving enzyme biocatalysis, providing detailed coverage of the use of whey lactose as raw material for producing oligosaccharides. 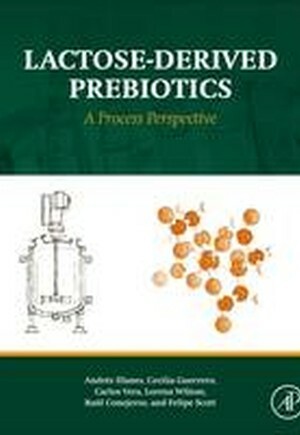 The book's focus on processes and products allows the reader to understand the constraints and impacts of technology on lactose-derived prebiotics.